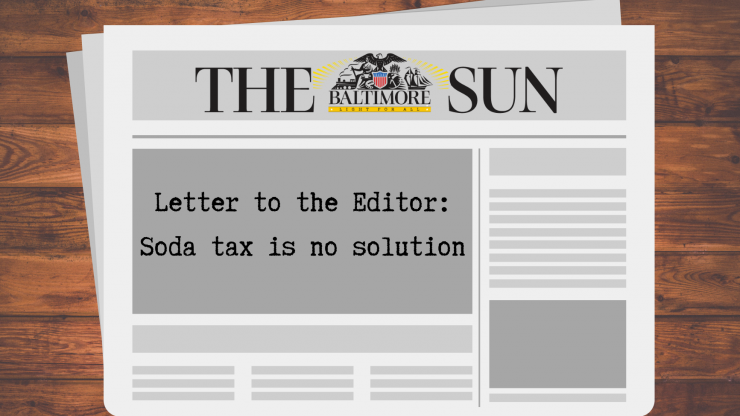 #TBT: “Soda tax is no solution"
“Maryland’s beverage companies share the goal of a strong, healthy America, which is why we are…. driving a reduction in the sugar and calories consumed from beverages across America – engaging with prominent public health and community organizations in this effort. We agree that there are better ways forward – check out BalanceUS.org to find out what we’re doing to encourage behavior change. To read Valentino’s full letter, click here.